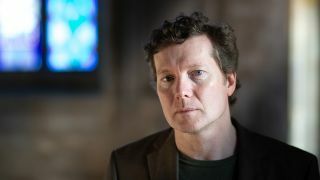 Tim Bowness has been announced on the bill for this year's Night Of The Prog festival which takes place at Germany's Loreley amphitheatre between July 19-21. He will be appearing on the Saturday. "I’m delighted to have the opportunity to play at one of the best and most scenic festivals in Europe," Bowness told Prog. "The band - including John Jowitt on bass - will be playing a mix of my solo work and some No-Man material." Bowness will release his latest solo album, Flowers At The Scene, through InsideOut Music on March 1. it features contributions from Steven Wilson, Peter Hammill, Kevin Godley, David Longdon and more. He joins a Night Of The Prog bill that features Nick Mason's Saucerful Of Secrets, IQ, Anathema, Steve Hillage band and more.